Rollie Wayne Cannon, son of Bernard D. & Elowene I. (Duff) Cannon, was born November 12, 1943 at Bedford, Iowa. Rollie grew up at Mount Ayr and graduated from Mount Ayr High School in 1962. Rollie enlisted and served in the US Army National Guard. After his time in the Guard, Rollie worked as a Police Officer in Des Moines from 1967 to 1971. Rollie worked and retired as a Customs Agent with the U.S. Customs Dept. He graduated from Drake University in Des Moines with a Bachelor in Criminal Science in 1992. Because of his work, Rollie lived in several cities in the United States. After retiring, he lived the past 12 years in Oklahoma. Rollie enjoyed golfing and loved his horses. He enjoyed horse-back riding and caring for his many dogs. Rollie enjoyed to visit and looked forward to his coffee time with friends. 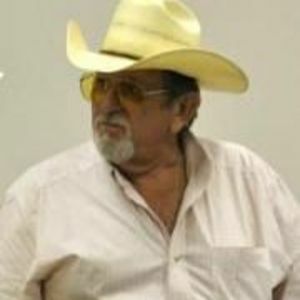 Rollie passed away at his home in Checotah, OK on May 7, 2012. He was preceded in death by his parents and his brother Rodger. Survivors include his sons Jeff Cannon of Des Moines, Iowa and James Cannon of Rolling Meadows, IL; daughter Brandi Michelle Jones of Kansas City; grandchildren Haley, Erin, Kristie, Nikkie, and Chloe; sister-in-law Jan Cannon of Mount Ayr; niece Monica Clymer of Mount Ayr and Kevin Cannon of Wood River, IL; special friend Sheri Daniels of Checotah, OK; several cousins, other relatives and friends. A memorial fund has been established in his name to be decided later. The beautiful and interactive Eternal Tribute tells Rollie's life story the way it deserves to be told in words, pictures and video. There's so little words can say, Still may these words of sympathy help comfort you today. Sorry you have lost your loved one. I went to country school with Rollie , and The Cannons were our neighbors and friends in the Lesanville area. I went to Tingley school, and met up with my country school friends my Freshman year at Mt Ayr. So sorry to heear of Rollie's passing. He called me a few weeks ago to let me know about his condition. I did not realize how bad it was. The Anderson family (Deloy's family) and his frineds in Greenfield extend their deepest sympathy to all of his family. I enjoyed talking with him very much about politics, Catholic Religeon, and just plain bull-sh**. He helped me through a bad time in my life. He was fun, good dancer and a good friend to many. We were sorry he had to move so far away. God rest his soul his spirit will always be with us. RIP My Dear and Beloved Friend. You Will Be Forever in My Heart. I Love and Miss You. May God Rest Your Soul as You Enter the Gates of Heaven.